Synopsis in a nutshell: across walls, fences, and alleys, rats not only expose our boundaries of separation but make homes in them. 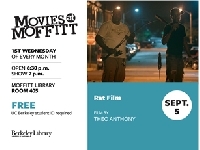 "Rat Film" is a feature-length documentary that uses the ratas well as the humans that love them, live with them, and kill them--to explore the history of Baltimore. "There's never been a rat problem in Baltimore, it's always been a people problem".